What the Enlightenment political philosopher Montesquieu wrote: “There are three types of government ….” does not apply to the Maghreb region where there are one or two political authorities. If we want the agreement just signed in Rome between the two Libyan factions to work – apart from the difficulty of having, in forty days, the consent of all participants – we have to think about money, namely the huge amount of money that the two Libyan factions should share out. Hassan Bouhadi is the President of the Libyan Investment Authority (LIA) appointed by the internationally recognized government of Tobruk. Coincidentally, the government supported by Turkey and Qatar, the same States which operate in favour of Isis/Daesh between Syria and Iraq. The Sunni project for Mesopotamia is incompatible with NATO’s current stance, while Iran is managing its P5+1 nuclear deal in an ambiguous way, as demonstrated by the recent results of IAEA inspections. The Atlantic Alliance shall rethink its presence in the Middle East and link it to the “long arm” required to control the Asian regional seas and the land routes of the new “Silk Road” planned by Chinese President Xi Jinping. This is the political stance of LIA, which has begun legal actions in London, in relation to the faction of the Libyan Investment Authority linked to the rival government of Tripoli. As often happened to the best young Libyans, Bouhadi studied with excellent results at the University College of London and was a manager of the Stabilization Team for the National Transitional Council, the interim government which prepared the first post-Gaddafi elections of July 7, 2012. Beforehand, Bouhadi had worked for the North American Bechtel, as well as for BASF and General Electric. He shall wait until January 2016 for the British Court to decide, but the political negotiations between both factions could be faster, after the Rome Conference of December 13, 2015. The other director of LIA, for the rival government, is Abdlulmagid Breish, operating from his headquarters in Malta. It is worth recalling that, before the “revolution”, the reserves of the Central Bank of Libya amounted to 240 billion US dollars while today, according to the LIA sources in Malta, they are an “operational reserve” of less than 70 billion US dollars. The transactions and operations of the National Oil Corporation, the Central Bank of Libya and LIA overlap and create unnecessary duplication and management costs. With great effrontery, the Rome Conference has spoken of “new leaders for the Central Bank of Libya,” but not for LIA, and this would be a problem. These costs – reduced to rents and unproductive income – will go to support some local armed forces. 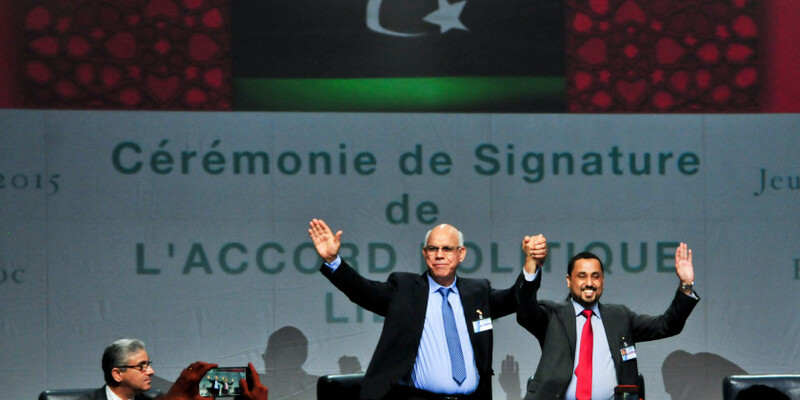 The LIA has two pending legal actions: the former against Goldman Sachs, to the tune of 3.3 billion US dollars, and the latter against Societé Générale, which, according to the pre-revolutionary Libyans, is worth additional 3.3 billions. 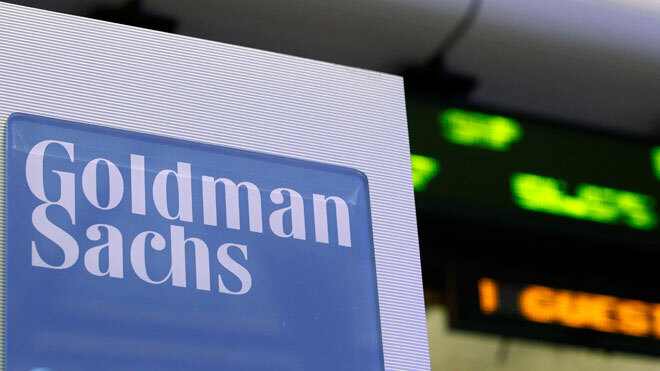 The Libyan managers think that Goldman Sachs has gained an illegal profit of 350 millions from the funds managed by LIA but, for some analysts, the financial institution could be liable only for losses amounting to 128 millions for Gaddafi and post-Gaddafi investors. Basically the Libyan managers accuse the two financial institutions of having lost several billion US dollars from Libyan State funds due to misjudgements and misinterpretations. 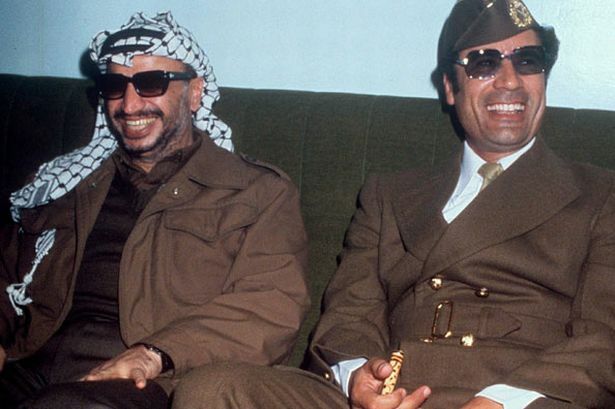 In fact, as we will see later, many people “recommended” bad investment operations to Colonel Gaddafi, including former UK Prime Minister Tony Blair, acting as broker with Gaddafi on behalf of JP Morgan. 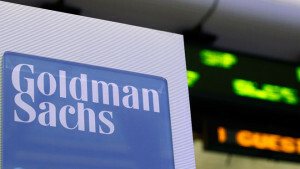 One is reminded of the self-deprecating old saying of Swiss bankers: “Do you want little capital to manage? Give a large amount of money to a Swiss banker”. Moreover, it was precisely the decision to distribute money to all the Libyans who were or believed to have been damaged by Gaddafi’s regime or by civil war to destroy it and arm the countless militias. Said militias, inter alia, wage and fight wars or threaten to do so according to the governments being sensitive or not to their economic demands. In this case, it would have sufficed to read Niccolò Machiavelli’s book The Art of War, but now nobody reads the classics any longer and the results are before us to be seen. Today, the Libyan economy is on the verge of collapse and there is a real risk of national bankruptcy. This applies to both governments, which are therefore looking for an agreement enabling them to grab the remaining treasures of LIA and the other financial structures of the old Gaddafi’s regime. According to the analyses made by the LIA based in Malta, the reserves of the issuing bank decreased from 240 billion dollars immediately before the “revolution” to only 70 billions. Furthermore the two governments duplicate their actions against the National Bank and the Libyan Investment Authority itself, by often issuing diverging directives for which no funds are available – funds which, however, can no longer come from oil since the British and French oil companies have now decided to invest no longer in their terminals and wells in Libya. The Maltese LIA has addressed to the London-based law firm Stephenson Harwood and Enyo, while Bouhadi, the Head of the financial Authority in Libya, has chosen another London-based law firm, Keystone Law Firm. In 2014, Deloitte certified that the active funds of the Libyan Investment Authority amounted to 67 billion US dollars, with properties abroad intact. The LIA portfolio, however, is divided into two parts: shares and equity shareholdings in 550 companies, scattered throughout Africa, the Middle East and Europe, which hold – fully or partially – hotels, real estate, non-oil commodities, agriculture and, obviously, the distribution of natural gas and oil for motor vehicle transport. The other 50% of the active assets of the Libyan Investment Authority is purely financial: fixed income securities, hedge fund shareholdings and all the other types of financial investment. The LIA owns part of Oilinvest, a company with other Libyan shareholders, incorporated and registered in the Netherlands, owning two refineries, one in Collombey, Switzerland and the other in Holborn, Germany. Oilinvest has a warehouse in Cremona, capable of storing 90,000 barrels/day, as well as over 3,000 Tamoil petrol stations; real estate linked to oil distribution; approximately 34% of direct investment in Tamoil itself, which has a turnover of 19 billion Swiss francs, equivalent to about 20 billion US dollars. With specific reference to Italy’s national security, it is also worth recalling that over 20% of hydrocarbons come from Genoa via the pipeline between the Rhine Valley and the Canton of Valais. The project of Breish, the Head of the Maltese “faction” of LIA, is to divide the assets into three funds: the Future Generation Fund, fuelled by the sales of many of the 550 companies in the current LIA – companies to be liquidated over a two-three year period; a Budget Stabilization Fund, fuelled by 20-30% of the Libyan oil sales; a third Fund which – again fuelled by oil revenues – will invest in local companies in Libya and especially in real estate and in the reconstruction after the post-Gaddafi civil war. Possibly, it would be positive for the central Authority, now reunited after the Rome Agreement, to avoid oil smuggling – however, heavily subsidized by governments – which is the main funding source of Libya Dawn. It will be also necessary to see how to solve the issue of Libyan properties in Italy, as well as of the ENI shares up to the land of Pantelleria, which are not secondary for the efficacy of both governments’ reunification, which could last less than hoped for if there were no possibility of reuniting LIA and getting back Libya’s immense wealth. The new government will have legitimacy if it can use its huge resources to solve the economic crisis affecting at least half of the Libyan population, amounting to 6.3 million people; give a home to the over 100,000 displaced people, as well as support humanitarian assistance for 2.44 million Libyans, including 1.35 million women and children. Little time is left: the Central Bank is selling its reserves and the planned welfare spending has been halved. And here the high-mindedness of the new “united” government’s will be tested, and we will see whether the extraordinary Libyan financial network abroad will be skilful enough to soon supply liquidity to the new government created by the Rome Agreement.